Ronald Reagan, the 40th President of the United States, consists a political idol of the world's anticommunists, neoliberals and conservatives. Like his close friend Margaret Thatcher, Reagan was a staunch defender of his class- a bourgeois politician and political representative of monopoly capitalism. During his term in the White House (1981-1989) Reagan played a leading role in supporting the counter-revolutionary forces in the Socialist countries, while he left his mark in various horrific crimes against the people of Latin America (Guatemala, El Salvador, Nicaragua etc.) and the Middle East (Iraq, Lebanon, etc). 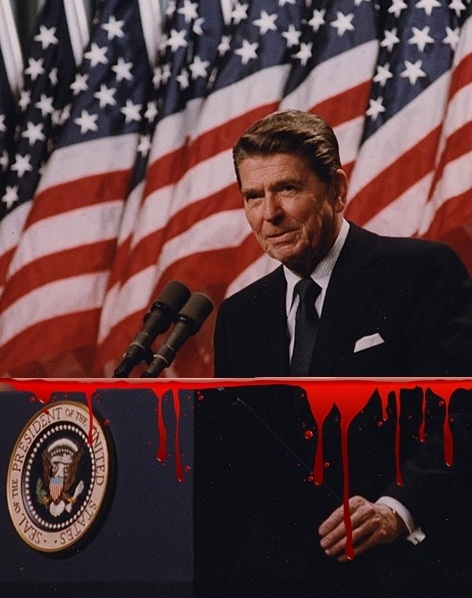 Here, we will present a series of articles and testimonies which expose the role of R.Reagan's bloody, murderous imperialist legacy - In Defense of Communism. Accessory to Genocide in Guatemala. 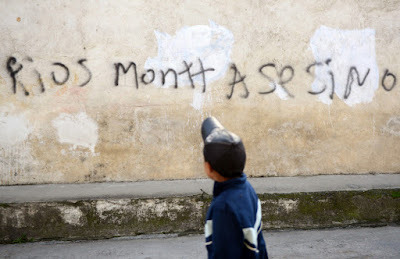 Indeed, Ronald Reagan by aiding, abetting, encouraging and covering up widespread human rights crimes in El Salvador, Honduras and Nicaragua as well as Guatemala bears greater responsibility for Central America’s horrors than does Rios Montt in his bloody 17-month rule. Reagan supported Guatemala’s brutal repression both before and after Rios Montt held power, as well as during. 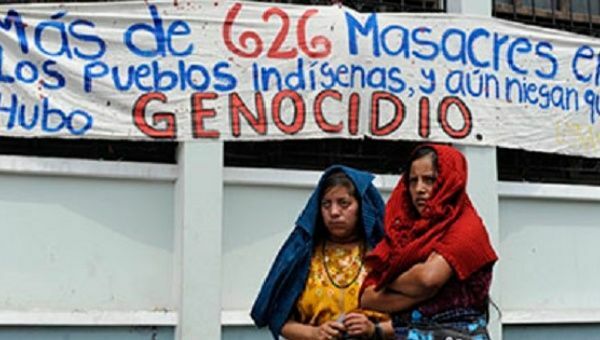 In other words, though the “talking points” were framed as an appeal to reduce the “indiscriminate” slaughter of “non politicized people,” they embraced scorched-earth tactics against people involved with the guerrillas and “their civilian support mechanisms.” The way that played out in Guatemala as in nearby El Salvador was the massacring of peasants in regions considered sympathetic to leftist insurgents. U.S. intelligence officers in the region also kept the Reagan administration abreast of the expanding slaughter. For instance, according to one “secret” cable from April 1981, and declassified in the 1990s, the CIA was confirming Guatemalan government massacres even as Reagan was moving to loosen the military aid ban. As the New York Times reported, “Pedro Chavez Brito told the court that he was only six or seven years old when soldiers killed his mother. He hid in the chicken coop with his older sister, her newborn and his younger brother, but soldiers found them and dragged them out, forcing them back into their house and setting it on fire. Across Central America in the 1980s, the death toll was staggering, an estimated 70,000 or more political killings in El Salvador, possibly 20,000 slain from the Contra war in Nicaragua, about 200 political “disappearances” in Honduras and some 100,000 people eliminated during the resurgence of political violence in Guatemala. The one consistent element in these slaughters was the overarching Cold War rationalization emanating from Ronald Reagan’s White House.